There are many plugins that allow you to setup special accounts for your wholesalers for example. Often times the user role feature of WordPress is used to identify users within a specific group. In this post I’ll show some examples of how you can display/hide prices for specific user groups, including only for specific products / categories. The snippets in this post will only be for hiding prices, it will still continue users to add products to the cart. Lets start with a simple script first. This is a example of how you can hide all the prices no matter who is viewing. I’ve made it so that it does still show prices on the admin, but you can easily comment that line out if you also want to hide prices there. This code snippet hides all the prices on the product / archive pages, but not on the cart/checkout pages (or the cart widget). The following code also removes the cart item price / subtotal and the same for the checkout. After using this code snippet it will leave the headings in the table. Unfortunately these cannot be removed with a code snippet, but there are two alternatives. By modifying the WooCommerce template files you can remove the columns from the totals table. The totals table is located in the cart/cart.php template file. You can hide them with CSS. A technical user could still uncover the product prices through, so depending on how important it is, this may or may not fit your requirements. Again, this is not a foolproof solution. In the below code snippet it will hide the prices for all users with the ‘wholesale’ user role. In the sample code I’ve added multiple rows to show how you can can hide prices for different user roles. Adding more options to it is possible by following the shown format. With this version of the code snippet you can target specific categories to hide the prices for. You can either modify the set categories to the slug of ID of the category. Here’s one last version where it only hides the prices for specific products based on the product ID. Hope you’ve found this post helpful! Thanks for the post! This helped me out a lot getting started customising a site to selectively hide prices based on “Woocommerce Memberships” and “Categories”. Thank you. it really helped! Is it possible to hide prices for specific products on shop and single product page but display on cart, cart total and checkout? You can use these code snippets as a basis, and add some additional code to do allow them to show on the cart/checkout pages accordingly. I don’t have something ready to go for that though. Did you sort this out? I am trying to do the same thing, but haven’t yet figured it out. I see the price in the subtotal, but the price is showing as 1 rather than the actual price in the cart. First of all thank you for sharing code. I want to hide the prices of all the products on my website but I do not know where to add the codes you give. Could you please give me information? Where do I add the codes? I tried the ‘hiding prices in specific categories’ but it also hides the prices in the cart page for all products added to cart, not just those in the category. Any chance you can update this? What does the ‘ }, 10, 2 ); ‘ do in the last line of the code to hide categories? I’m trying to: HIDE prices UNLESS the user is logged in AND/OR the product has a TAG of ‘highlight’. I’m stumped! Never mind! I’ve figured it out! Thank you for an excellent resource. I wouldn’t have been able to meet my client’s request if it weren’t for this page!! Thank you!! But you DIDN’T mention the exact file name / directory where you will do all these changes. Please guide with the file names and path. so it will be very easy for beginners to hide the prices. The content posted about hiding prices in the cart indeed only applied to all prices. The other code snippet about the categories is separated from that and shouldn’t hide any other prices. If you look at the code you’ll see it will only apply to the given product. Maybe you also have the code that hides the prices in the cart applied before? I can confirm that this code DOES hide line item prices in the cart and checkout pages for ALL products, not just those in the targeted category. And in the Woo Storefront theme the prices disappear in the header cart too. Removing the code and the prices re-appear. Putting the code back in and the prices disappear. Hello, I want replace product price with a text “Register to see price” . This only for guest. Can u help me? is it possible to hide only the prices in one language when using WPML? I have a client that sells products only within Germany but still has his onlineshop in 2 languages (german/english). So he wants to show the prices in the german translation but not in the english one. It is possible to create a conditional check for the language in WPML, but I don’t have that code at hand..
Hi Jeroen, thanks for the solution. I applied the code “Hiding prices for specific user roles”. At 1st it works well to hide the price for “Contributor”. I changed the function to hide the selling price to “Subscriber” instead, then the snippet seems stops functioning. Now the prices are not hidden to the “Subscriber”. Any idea what happened? Are you sure you’re viewing the site as a subscriber role? Those can be hidden with the CSS that is in the post above. 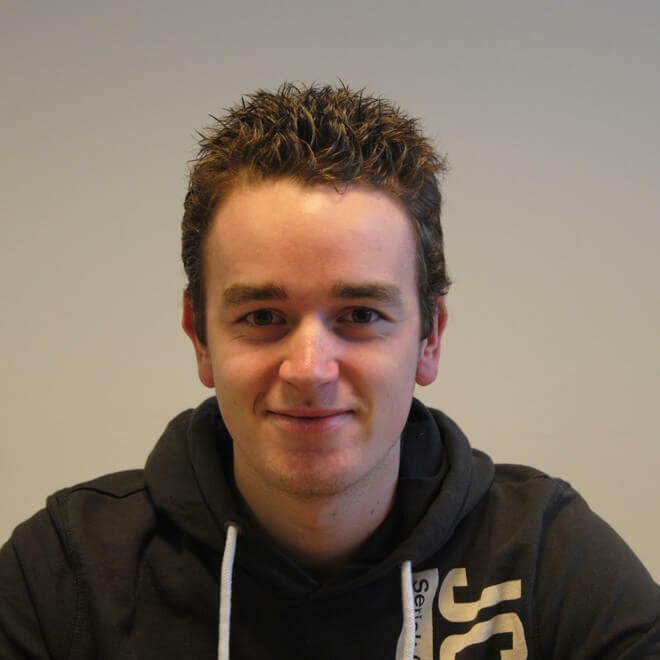 Hi Jeroen, thank you very much, you give me the right code and solved my problem! Is it possible to remove the pricing from the Woocommerce customer emails? Is it possible to change the price for soldout? I need to remove prices from the product listings ‘shop’ page. Once the visitor gets to the product specific page it is fine. I just published a blog post on my other site that shows how you can do that! First of all thank you so much for this accurate guideline. Unfortunately, I am struggling to get it right. Your slug for the spraypaint category is definitely incorrect, it cannot contain spaces. Other then that I can’t really see anything wrong with the code. Thank you so much, Jeroen! I tried your code snippet to hide prices for a specific categories, but it hides prices in the cart and checkout page for all products, not just for the categories that I need (“medici” and “dentisti”). The last two lines are what is hiding the prices on the cart/checkout. Remove those 2 and it should re-appear. I know that the last two lines hiding all prices on the cart/checkout, but I should still hide only the prices of the specifics category (“medici” and “dentisti”) in the cart/checkout. Otherwise I would need a snippet code to hide priceson the cart/checkout page when that are 0. I don’t have a ready to go code snippet that will hide those prices only for those categories. You’d have to further customize these snippets to fit your exact requirements. I have an amazon affiliate store using the theme storefront by WooCommerce. My products were direct imported via Wzone. Apparently the product prices and availability being displayed on my site place in non-compliance with Amazon’s affiliate policies. I have several product categories that all show pricing and availability. This would not be an issue if these things were synced using Amazon’s PA API however they won’t allow access until you are fully accepted. What would be the best method to remove pricing/availability being displayed? How about removing the price from related products? If you use the first code snippet it should remove the prices from related products too – any product price really.. This is the code that i’m currently using. I had to manually change the prices to zero in in order for it call for the array $order_total. That way it would return “Proceed to checkout to see your total.” I’m no coder by any means but this seems like a wonky method. Not sure if I could simply change the comparison operator to “>” instead of “==”. That way any number greater than 0 should return the same array. As of right now, things seem ok other than my Cart still displays the Sub Totals price. I’m having a hard time getting that filtered out. Update: changing the comparison operator to “!==” did the trick and removed the subtotal price altogether. I’m still not sure if this is a correct fix or some jumble that seemingly worked. My last issue still unresolved is when you click on one of my products you will see “Item availability”. This is against Amazon’s terms when not using their API. I need to remove this before I get the boot from the affiliate program. Thank you for the helpful tips. Is there a way to hide a price on a specific product variation? For example, I have a variable product where one size has a price and the other cannot have one. Should be possible – though I haven’t tested it myself. I’d recommend starting with testing out the last code snippet and use a variation ID instead of the product ID. With a bit of luck that will work straight away. If that doesn’t work you’d likely want to look into filters specifically for variation product prices. I like the snippet for hiding the price from guests, is there any way to hide the add to cart button and replace the prices with “login to view prices” text as well? Every other snippet I’ve found that does all of that doesn’t hide the price from the search bar but yours does. You should be able to do this by entering the text within the `return ‘YOUR TEXT’;` instead of returning a empty string. First of all thanks for your blogs. They are great! quick question; would your little script: “Hiding prices in specific categories” also work when I have a product already in another category? will it hide the price of that product if I include the “hide price” category in your script? Yes, this should work right out of the box with the script. My product give the price “From… to…” given from Measurment price calculator woo plugin. Is there a simple hook to achieved this? You could try it with a higher priority, but if that doesn’t work it’d require some other code to deactivate that plugin’s price output. Hello and thank you for your help through your article, can I ask how can I hide prices in specific categories and for a specific user in the same time ? This is valuable article, thank you! If you decide to hide the price, you would probably want to hide the add to cart button, right? how would you do that? Hi Jeroen, thanks so much for your help. I’ve added the code to functions.php and the css, however the subtotal and total are still showing on the cart and checkout page. Is there another way of removing these please? Make sure to clear your caches when making changes to the CSS, often times this is what is stopping changes from showing. It could also be your theme is has different classes assigned to the table/fields causing them to not be hidden on the cart/checkout. How to remove the line (dash) from regular price in product and single product page?